Having a professional experience of over 13 years, he assists clients in connection with a wide range of real estate matters, including real estate acquisition, transaction structuring, due diligence, joint ventures and exit strategies. His expertise includes urban planning, construction agreements and permitting matters for complex mixed-use projects, industrial, mining and energy industries as well as in-depth knowledge of office, retail, logistic and hospitality businesses. 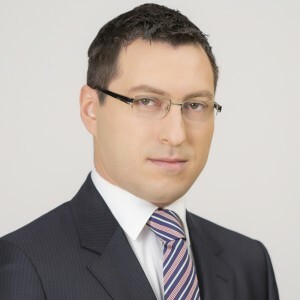 Vlad is one of the most reputed lawyers in the area of real estate with more than €1 billion in transactions closed during the course of his career, including the landmark sale of one of the largest multifunctional business centers in Bucharest for €120 million and more than 500,000 sqm successful leasing of offices, logistic and retail premises.